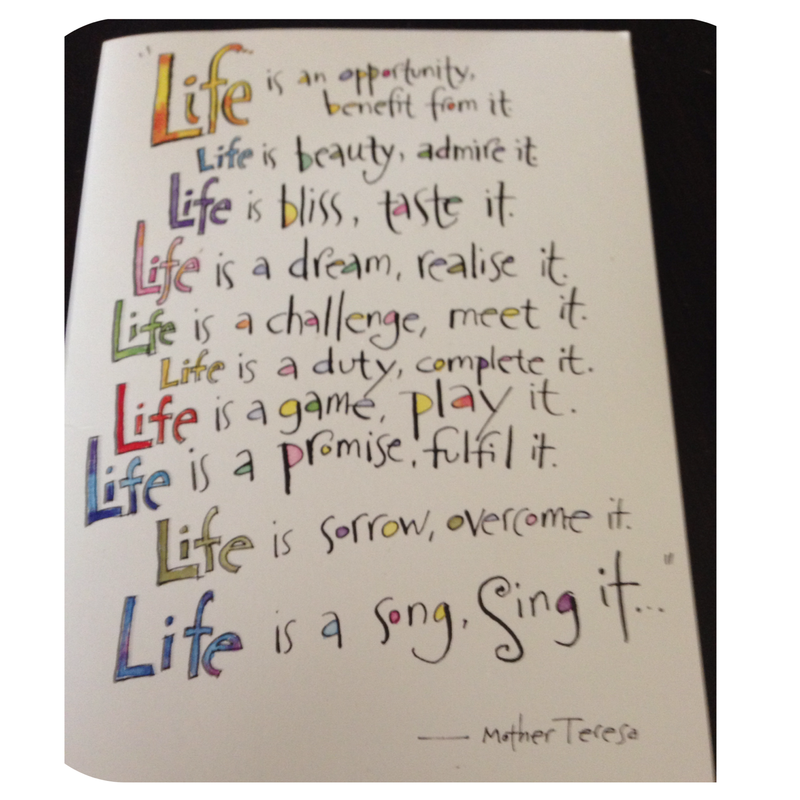 New Years Resolutions – In February! Happy Halfway Through February New Year!! I know, I know, it’s a bit late, but better late than never I say! If you’ve been following our blog for a while then you know I am a planner. It is of course pretty much a given then, that I am a big fan of New Year’s Resolutions. I am definitely a ‘reach for the moon, even if you miss you will still land among the stars’ kinda girl! I love to set goals for myself and our family and although we don’t always achieve them, I really believe that they give us direction for our year, a plan towards the things that are most important to us at this point in time. At the start of each new year, Matt and I usually sit down and come up with a ‘Top 5’ goals that we would each like to achieve personally. We like to have a couple of ‘family goals’ as well. I then put these up on our whiteboard, so they are there in plain site for us all (even the kids now that they are learning to read) to see them. 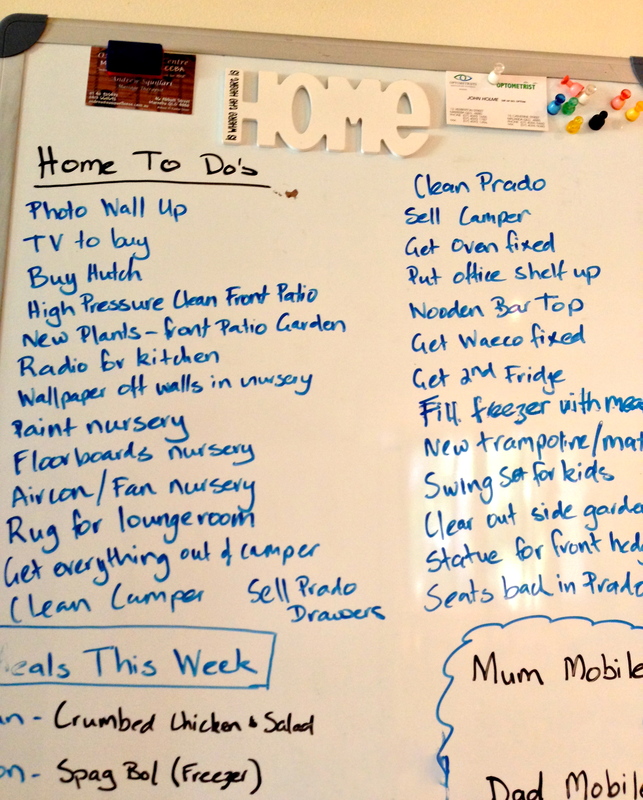 The whiteboard also usually has a rolling monthly ‘to do list’ and our weekly meal plan on it. We have really struggled this year though, to find what the Fealy Family focus is. We don’t have any big holidays planned, we’re not really sure what our careers are doing at the moment, we don’t have a clue how a typical farm year plays out so it is tricky to make plans for going away, we aren’t living in our own home so no major renovating is going to happen, and we’ve kind of forgotten what we used to do for fun! At first, I was really frustrated by this, worried that we had ‘fallen off the wagon’ and weren’t going to achieve anything in 2014. But, as the first month of the year has gone by already, I’ve come to the realisation that it is ok not to have some major project planned, that this year can just be a year of consolidation. I’m calling 2014 a Building Block Year. Sure, not as exciting as the year we had last year, but I think ‘building block’ years are just as important in the scheme of things for the big dreams! These are the years that lay the foundations for the long term goals to eventuate. This is a head down, bum up, work hard, look around, time out to think and plan, year. I hope this makes sense to all of you, it does to us! I did manage to come up with a Top 5 for myself which I am going to share here just so you can hold me accountable (and I can check back and see how I went in 12 months time)! These are not ‘I’d like to’s or I will try to’s”, these are my ‘I will do’s for 2014! 1. Get the trip blogging finished and blog more regularly. Learn some new blog/writing skills. 2. Get baby nursery organised and baby things purchased and ready to welcome Bub No 4. 5. Finally print out a photo album of baby photos for each of the kids for their birthday’s. 2. One week away camping, with at least two long weekend camping trips. 3. One ‘family only’ outing per month. I feel better and much more organised already just for putting these up on here! So, what about you? 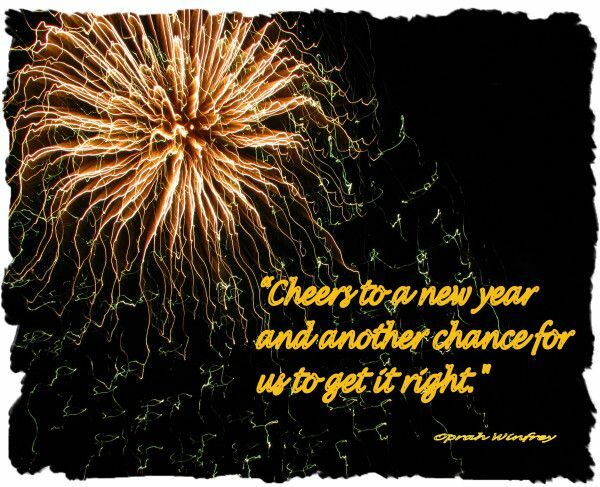 Do you make New Year’s Resolution’s or goals for the year? Put them down below and I’ll check up on you in a year’s time!! Kate Wilson – how on earth you need to lose 10kgs I do not know, but looks like we’ve got the same goal – you’re just well on your way in front of me so I’ve got something to aim for! I’m going to check in with you in June and you can kick my bum if I haven’t lost at least 1kg by then! Thanks for saying hi! Miss you guys lots! I know a great family holiday ‘farm stay’ place that is only 45minutes from Cairns airport! Airport transfers with car seats can be arranged, rustic cottage to stay in, plus mostly qualified babysitters/kids club on site?!?!?! Hehehehe – come visit! Nice! well… it sounds like 2014 Fealy Family Goal is about becoming a ‘happy / successful farming family unit’ nothing wrong with that at all! I really really struggled to set specifics this year or at least so far…. and i tried long and hard!! so i decided that wasn’t the way for me to do my goal setting! So … whilst i’ve got specific coaching targets for work i decided to do a 2014 Poster. My 2014 ‘theme’ question: “What would you do (or do more of) if you were brave!? ?” centres in the poster and then i just have my brainstorm ideas around that… so it’s habits for daily living as goals i guess you’d sorta say… and i’m liking it! I think if nothing else it’ll get me to a point where i’ll realise specifics goals as such! 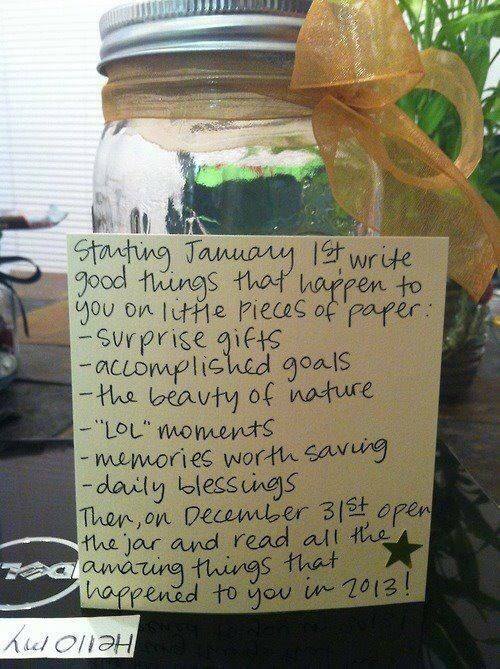 I’ve also started my 2014 Happy Jar! Same as above!! a great idea!! Had to laugh at the kids goals – i thought they were awesome!!! really cool and so… well… them!!! I love the poster idea Kate! Habits for daily living definitely has to be a good start I reckon! Lovely idea Tracy – thanks! I love that you have it for everyone to see! I am always so shy about telling people my resolutions, but in reality I would love to share and have my family keep me on track! I need to start putting them out there! Sammie – I have to admit I did feel slightly uncomfortable putting my personal goals out there but I really need to be held accountable as I am one of those hopeless procrastinator people sometimes!